Drew Long created Caroline's Carts to make shopping easier for special needs families. Ordinary tasks are a little different for special needs families. No one understands this like Drew Ann Long, a mother of three in Alabaster, Alabama whose middle child Caroline was born with Rhett’s syndrome, and cannot walk or speak. 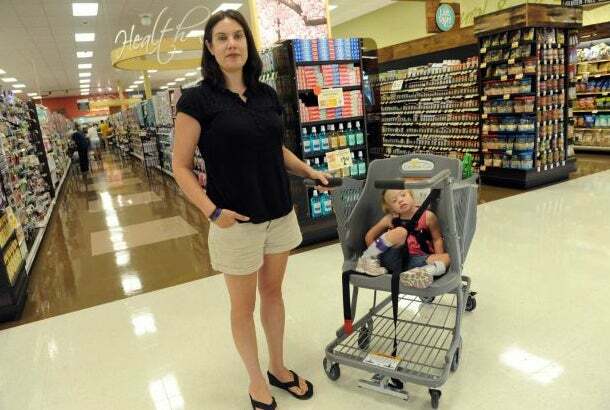 Eight years ago when Caroline had begun to outgrow the seats in traditional carts, Long realized how cumbersome it had become to manage a wheelchair and a cart in the store. Long was surprised there were no good alternatives for families like hers. "I could not believe that retailers had to provide, because of the ADA, handicap parking, accessible entrances, accessible bathrooms, but no accessible shopping carts,” says Long. “I really felt that there was a huge gap in the market of providing accessibility." 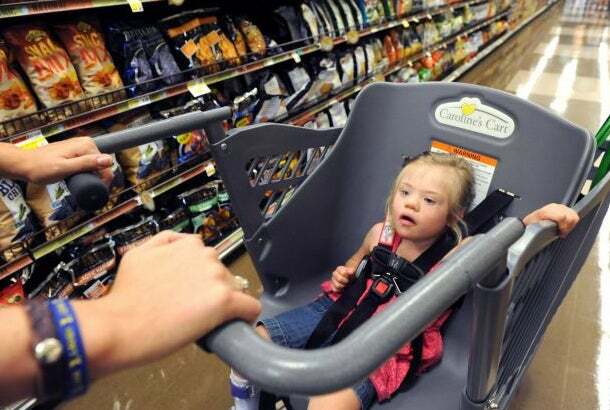 With a Caroline's Cart, special needs families don't need to manage both a wheelchair and a cart at the store. Long sat at her dining room table and sketched out a cart that would allow caregivers transport an older child or adult with special needs throughout a store without having to account for both a traditional grocery cart and a wheelchair. She and her husband David eventually bootstrapped Parent Solution Group, LLC, and created a prototype in 2010. As she’d soon discover, manufacturing accessible carts was a tricky business. Hers wasn’t a product that could be marked up and resold to consumers. Cart sales impacted stores’ bottom lines. “I wasn't selling the widget to Walmart, I was selling the shelf that the widget was put on." Finding a manufacturer wasn’t easy either. Some makers were hesitant to sign on since such a cart had never been made before. Parent Solution Group bootstrapped the manufacture of 100 carts to seed the market and get her concept some much-needed validation. “I knew that I had to create the demand and I needed to get the families who needed those carts behind me," says Long. The carts shipped out on October, 9, 2012, a date with special significance: It was Caroline’s 12th birthday. 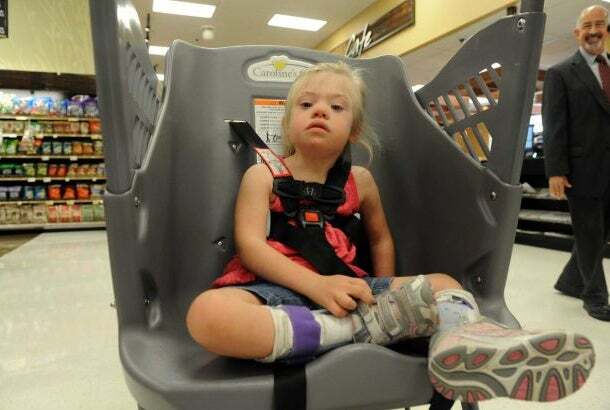 This invention ensures special needs children don't sit in a cart's basket along with the grocery items. Today, manufacturer Technibilt handles sales while Long takes on awareness, promoting the carts at trade shows and being an active advocate lobbying Congress and conducting presentations to the National Council on Disability and the United States Access Board. "They all could not believe this had not been done before," said Long. The company says it has seen a nearly 700% increase in sales from 2013 to 2015. A scan of the company’s social media shows grateful posts from families using the carts in big-name shops like Target, Wegman’s Kroger and Whole Foods. Some carts have found homes as far as Australia and Norway.